Funny « The World According to S.J. On the whole, I think clowns are terrifying. (As well as “Elf on the Shelf” and people in full-blown furry costumes at amusement parks… but those are things for another time.) Who knows where this fear started. 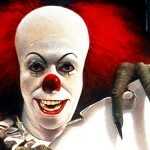 My parents have attributed it to the Stephen King book and movie “It”. While I agree that “It” was/is the scariest TV movie ever made, I’m not sure that’s it. And I know I’m not alone. 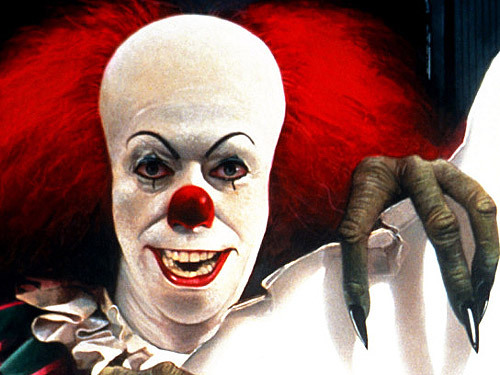 Across America, millions of people share this same fear – Coulrophobia, or fear of clowns. A quick Internet search revealed 16,100 results. There are even websites dedicated to the subject, such as Ihateclowns.com, where coulrophobes gather to share their thoughts. Clowns are common characters at Halloween events such as Universal Studios yearly Halloween Horror Nights, which featured a killer clown as its main icon for several years. Clearly, the fear is real. But, I found one clown that is laugh-out-loud-absolutely-100%-pee-in-your-pants hysterical… though I’m not sure the kids in the commercial share my feelings. Watch and enjoy. Many times in classic literature, the heroines came upon a tragic end to their lives. It went with the story, added depth to the narrative, but ultimately was a real downer. But thanks to the fabulous people at Second City, we find out it doesn’t have to be that way. These stories could have had a happy ending. All these women needed was a Sassy Gay Friend. Watch and enjoy!